Hong Kong Arts Centre strictly respects the right to privacy of our AC FaN members and our website users. In order to protect the interests of all involved parties by conforming to the latest amendments of Personal Data (Privacy) Ordinance (Cap. 486)., Hong Kong Arts Centre adopts the following policies on personal data regarding its acquisition, utilisation, archival, disclosure, transfer and access. To inform you about the latest news of Hong Kong Arts Centre, including both our constituent and subsidiary organisations, along with our affiliations and associated organizations and parties including Hong Kong Art School, Public Art Hong Kong and Comix Home Base. These updates are composed of but not restricted to programme highlights, education activities and course information, discounts, benefits and promotions, newsletters, fund-raising announcements, as well as information of talks, seminars and other related events. 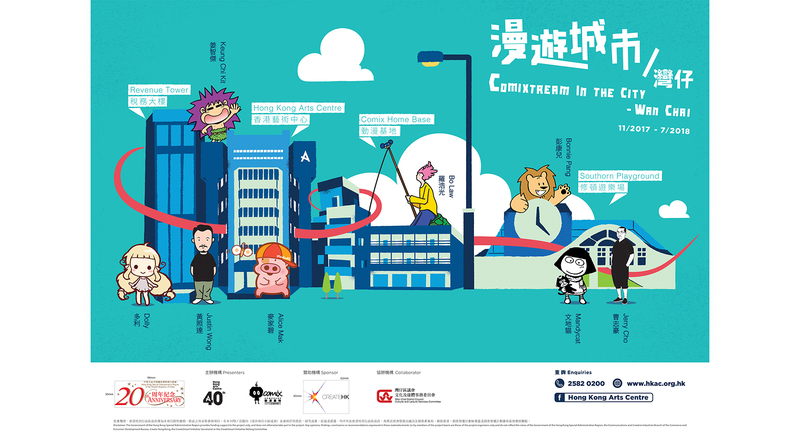 To offer programme information and ticketing discounts on activities held within but not organised by the HKAC. To conduct marketing questionnaires and researches for improving the quality of our programmes and services. All personal information is used for the aforesaid purposes by Hong Kong Arts Centre and its associated organizations and parties including Hong Kong Art School, Public Art Hong Kong and Comix Home Base. All personal information collected is never sold, shared, leased nor transferred to any third parties whatsoever without your approval. Hong Kong Arts Centre determines hit counts on our specific web pages by computing statistical data on cookies. Such website analytics is beneficial to our web optimisation directed to your needs. Data collected from visitors is used for such analysis only and is deleted from the system immediately afterwards. Website visitors can choose to accept or decline cookies. Most browsers automatically accept cookies, but cookies can be rejected by modifying browser settings. However, this may prevent visitors from getting the most from the website. Essentially, cookies not only help us build a better website for you, but also improve our services by monitoring your web history. Unless you choose to share your data with us, cookies can never disclose your information to us nor enable connection between the servers of Hong Kong Arts Centre and your computers. Advertisers and companies linked to the website of Hong Kong Arts Centre may collect user’s personal information as well. That policy may differ from ours. We encourage visitors to further understand the details of the privacy protection policies of our advertisers and our linked websites. The HKAC is not responsible for the privacy practices or the content of websites other than hkac.org.hk. You can help the HKAC maintain the accuracy of your personal information by notifying us when you change your address, title, phone number, or e-mail address or in case you believe the personal data given to us is incorrect or incomplete, please write or email us as soon as possible. We will then quickly update our records. We maintain the right to renew the conditions listed on this privacy statement without prior notice. We encourage you to visit our website periodically to check our latest updates and related changes.